October 30, 2018 - No Comments! 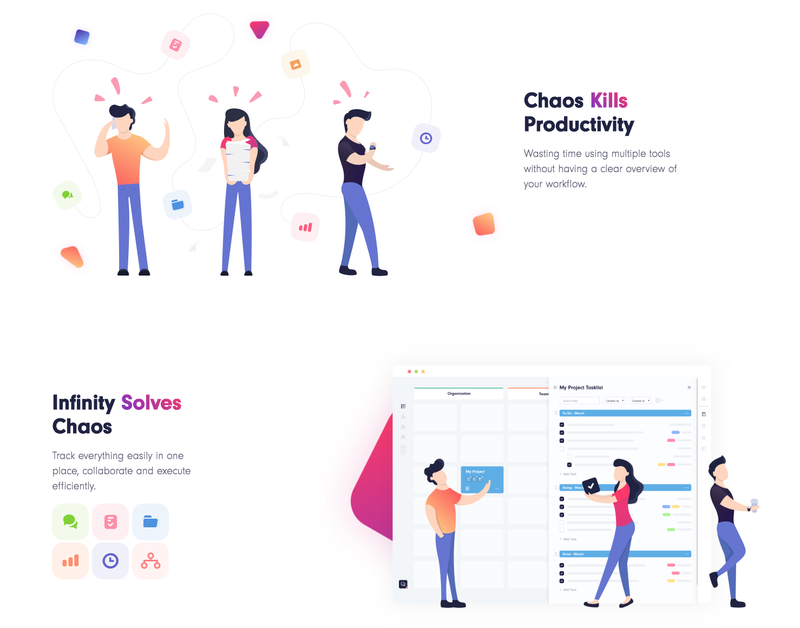 In March 2018, an innovative and fresh SaaS startup named Infinity was in the final stages of developing an MVP of their ‘infinitely’ flexible and user-friendly project management and collaboration tool. 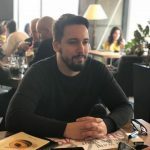 This tool threatened to be an alternative and true competition to some of the biggest project management software solutions on the market (they even had the guts to compare their product to the popular Trello). Inspired by RobinHood’s pre-launch campaign, they decided to do exactly the same: create a waitlist for their MVP and publish a Closed Beta for the selected number of early members. Infinity team decided to be bold and gather a lot more early testers than they had initially planned. Actually, they were about to launch a marketing campaign to get as many early members as possible. Yup, pretty ambitious. It seems like they really believed in the MVP of their product. So, let’s see their approach to launching a strategy which resulted in 2,500+ users in less than a month. After days of detailed research and multiple hours spent on defining the strategy for gaining as many early members as possible, they’ve come up with a pretty neat solution. Infinity team decided to launch a referral campaign. The final thing they needed was an appropriate tool which would help them set up their viral campaign. As Viral Loops offered an easy-to-use and practical pre-launch template, the search ended there. 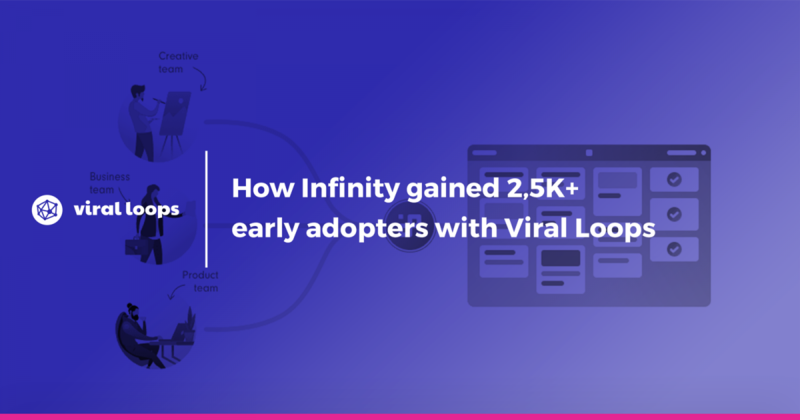 Infinity decided to use Viral Loops as a tool to launch their referral/viral campaign. Define referral placements for your campaign(Make sure to carefully choose the initial places on which your members could share the referral link. Before setting up a referral campaign in Viral-Loops, Infinity team had to create a solid landing page for their product. Making a viral landing page is not an easy thing to do. You have to invest a lot of time in order to prepare good content, a visually appealing design, and even an explanatory video. And that’s exactly what Infinity did. Infinity landing page used for the Viral-Loops referral campaign. After building a landing page, it was time to brainstorm on a proper, engaging and effective incentive for the competition participants. If you’re about to launch a referral campaign, you definitely need to create a convincing and inspiring motive for people to enter the competition. and a priority invite & 6 months of the premium plan for the top 100. And the only thing the members needed to do is to spread the word by sharing the received referral link to their acquaintances. After thoroughly planning a referral strategy and gathering everything that was needed to jumpstart the campaign, it was time for some real action. Setting up a Viral-Loops campaign is a pretty simple process. 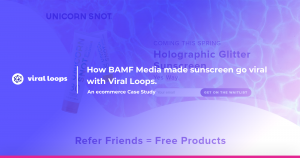 After linking the landing page to the campaign and setting a legitimate incentive for a defined target audience, Viral Loops offered a few options to help the contestants share their referral link more easily (ex. Email, Facebook, Twitter or simply by copying the link). With all of that done, Infinity’s Viral-Loop referral campaign was ready to begin! Visitor → Infinity Landing Page → Visitor clicks on CTA button (in this case ‘Subscribe for Infinity Early Beta’) → Visitor becomes a Member → Member receives a referral link which automatically puts him on the waitlist → Member is repositioned on the waitlist and put into consideration for winning an incentive based on the number of successful referrals (the number of people they’ve invited who also subscribed for Infinity’s Early Beta). If Infinity had relied solely on organic visits and conversions, they probably wouldn’t have got near to the results they achieved from their referral marketing campaign. That’s why the team decided to boost their viral campaign with paid promotion. To be more precise, they used channels such as Medium, Facebook Ads, Beta List, Adwords, Product Hunt, etc. 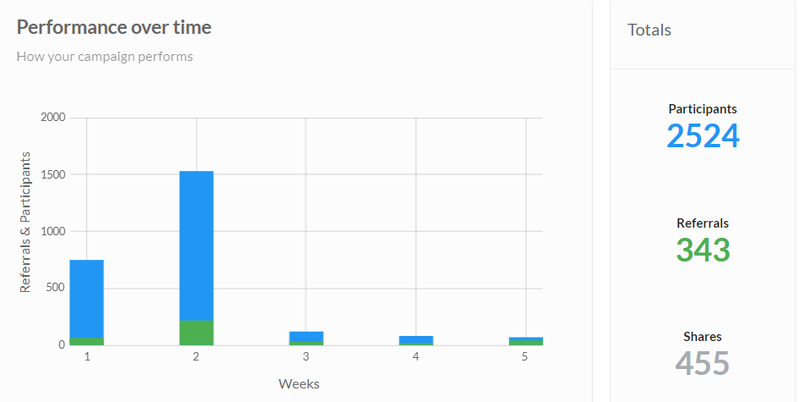 Viral-Loops offers an intuitive Dashboard which showcases a weekly statistical progress of your referral campaign. The total number of visits on Infinity’s landing page was around 11,000. 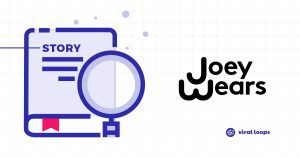 A total of 2,524 participants were involved in the campaign, 343 of which were referrals (people who accepted the invite and joined Infinity Early Beta), and 455 were shares (members of the Early Beta who shared the link with other people). Virality metrics were of great importance to Infinity team whilst running a referral marketing campaign. Analytics gave them a perfect progressive summary of their referral campaign and were the key to their referral program success. The most important metric in viral marketing is the ‘K-factor.’ K-factor (or Viral Coefficient) is measured by dividing the average number of conversions from invitations received by the average number of invitations sent. By calculating the K-factor, Infinity team got a sense of the overall progress of their campaign, which helped them adjust campaign settings from time to time and ultimately achieve better results. K-Factor of Infinity’s campaign was 0.75, which puts it into ‘the outstanding league.’ That means that 3 out 4 people who received a referral link for Infinity Early Beta access, actually accepted the invite and became members. Participant conversion was pretty good with 2,524 users, but a total of 11,174 landing page visits. That puts us at a participant conversion of 22%. Participant share was also solid with 18% of people who shared the referral link with their friends, out of the total of 2,524 participants. Furthermore, Invitation CTR resulted in a pretty high number of 88% of people who clicked on the referral links their friends sent them. And finally, an impressive result from Invitation Conversion viral metric, as 75% of people who received a referral link decided to use it and become members of Infinity Early Beta. At Infinity, our goal is to make teams more productive by enabling them to shape their workflow exactly how they want, without any limitations. Infinity is a flexible project management and team collaboration tool which adapts to projects of any shape and size.